American yacht builder Christensen Shipyards is getting ready to move its operations from Vancouver, Washington, where it's been located since 1983 to a new facility in Tellico Lake, Tennessee, about 15 miles from Knoxville airport. "This move has been in the works for 15 years," said president of Christensen Shipyards Jim Gilbert. However, the expansion to a new facility was delayed for a number of reasons over the years, including the onset of recession in 2008, a subsequent decline in yacht orders, a temporary suspension of operations in 2014 and the eventual sale of the business in summer 2015. 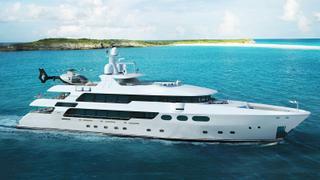 Under new ownership and debt-free, Christensen looked poised to restart on steadier ground after a few difficult years having delivered 50 metre Silver Lining and 49 metre award-winning Chasseur (recipient of a Judges’ Special Award for Achievement at the 2017 World Superyacht Awards) in 2016. Hull 38, a sistership to Silver Lining already in build, was sold to a new client in 2018 and the shipyard introduced a number of new designs. However, Gilbert said the type of high-volume yachts with beach clubs that many clients want these days were impossible to build in the Vancouver yard, tucked inside a business park. "We had a structural problem," he said. "We could only build 9.1 metre beams." The dimensions of the sheds also limited the length to 50 metres and made painting difficult, time consuming and expensive, he added. Launching yachts in the shallow Columbia River was also a complex operation that limited the size of yachts Christensen Shipyards could deliver. The new owners had planned to continue production in both locations, but the February 2019 settlement of lingering litigation related to the sale of the business gave new impetus to the move, which needs to happen by August. The new owners leased, rather than owned, the Vancouver yard and the facility will be taken over by Vigor Industrial to build the US Army’s new landing craft and other such vessels in aluminium, according to Vigor's website. For Christensen Shipyards, the immediate focus is to finish Hull 38, a 49.4 metre, 580GT yacht, which is a couple of weeks away from delivery, and Hull 42, a part-built yacht will be shipped to Tennessee to be finished. Another challenge, Gilbert said, was access to Vancouver for owners and captains. The Tennessee yard is easier to access for clients on a tight schedule. The biggest advantage, however, is the size of the new facility. 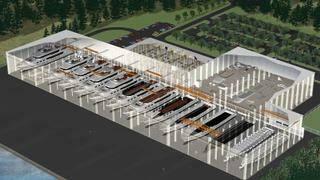 The sheds allow for the construction of yachts up to 67 metres. And although Christensen Shipyards plans to continue building yachts in composite, as it has done successfully for years, there is room to expand to include a separate building shed for metal construction for even larger yachts. As far as the workforce is concerned, employees have been given the option to relocate. "We don't know how much of the old staff will move, but we know there's is a lot of interest," Gilbert said. The new yard, which is located close to a cluster of boatbuilders in Tennessee, is nearly 90 per cent complete. "One little known fact is that there is more fibreglass work in that area than in the whole country, including the Pacific northwest," Gilbert said. "They are not building superyachts, but they know their way around boats." East Tennessee is known as a sport boat building mecca. Bayliner and Chaparral for instance are located in the area, and Master Craft announced it was starting production there last year, opening a plant in Vonore where centre console builder HCB (Hydra-Sports) is also located. News of the move has prompted renewed interest from clients who were looking to build bigger than the series Christensen had been producing for the past few years. "The move is a good one for the company and US shipbuilding," Gilbert said.